We proudly work with corporations, manufacturers and distributorships through their Ambassador and Sponsorship programs in the RV, Camping, Outdoor, and Technology Industries to enhance their marketing strategies by promoting their products. We also work with home and automotive product manufacturers and distribution companies to introduce their products by influencing to the RV community. Through Sponsorships, Ambassador and Affiliate programs, we bring strategic and successful marketing concepts to manufacturers or businesses. Through the use of social media tools and content creation, we boost awareness by introducing and exposing products and services to new and existing customers, as well as corporate buyers in the Recreational Vehicle communities. We believe in grassroot businesses and manufacturers who align themselves with honest business ethics and want to be a part of their growth and success. We would love to share how we can assist your company to reach communities without the cost of expensive advertising. Please email us to request our Media Kit. We work extensively with Dragonfly’s Battle Born Batteries to form a social media collaboration. We will be utilizing our blog and social media venues to share our experiences and feedback to not only, Battle Born Batteries but also nomadic and boondocking RVers, Campers and the boating community who are seeking greater energy storage options. Stay tuned for more information on our ongoing energy storage and management project. Please see what we have in our Energy Management Store. 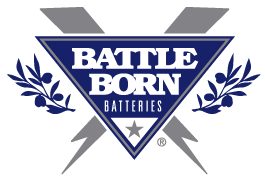 If you are interested in purchasing their lithium ion batteries, please click the Battle Born logo above. One of our newest sponsors is Better For Your. We found them when we attended the RV Entrepreneur Summit in 2018. These amazing double-walled stainless steel mugs were one of our swag gifts as paying attendees. Since, we’ve tossed our ceramic breakable mugs and have fallen head over heals with these mugs! They keep our coffee, tea and hot toddies hotter longer. Plus, they are so handsome and unbreakable. We’ve clipped them onto our daypacks and belt loops when going to visit other campers. These make perfect gifts for your home; whether its a 4000 square foot sticks and bricks, motorhome or a popup camper! 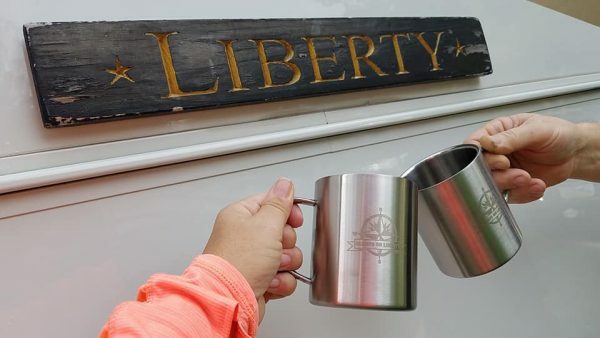 If you are looking for mugs for your own RV or as a gift, Better For You is an amazing company who takes pride in their products! If you’re a corporation or company looking for your own swag gifts, these are absolutely perfect! Your customers and clients will use them for years! Recently, we worked with Anderson Brass Company on a research and development project to improve their RV Water Service Panel for certain towable RVs. Anderson Brass Company RV is moving forward with a new line of RV Water Service Panels. These new service panels are designed with low lead brass valves / manifolds. The new RV Water Service Panels are made in the USA, with a 5 YEAR LIMITED WARRANTY and meet the NSF 61 requirements. All RV Water Service Panels have 1/2″ (0.50″) Male NPT connections. Anderson Brass Company also has a new line of retrofit low lead brass RV Water Service Panels that allows you to replace your current plastic Anderson valve. After owning our Landmark luxury 5th wheel for less than a year, we became quite dissatisfied with the heavy black, steel folding OEM steps that led into and out of our 5th wheel to the point of them being deemed unsafe. On sunny summer days, we could never step on them barefoot because they were extremely hot and burn our feet. On damp or rainy days, they were subject to rust; making them difficult to deploy and stow. Not only were they were losing their function but also, they were quite unsightly. We found Torklift GlowStep Revolution was the answer to our prayers. Their customer service is outstanding, their product is stellar and they are tailor fit to any 5th wheel, travel trailer and truck camper. Their products are lightweight, and easy to deploy and stow. They can be installed in a matter of an hour. They will last for years and provide safe entrance and exit to your trailer and camper. Torklift also has other products designed and manufactured for RVs. For more information, you can read about our TorkLift GlowStep Revolution – Product Review. In June 2017, we headed up our fifth wheel’s biggest upgrade project of the year. We’ve installed six 165watt solar panels that led to enhancing our coach’s electric power output when not tethered to a power source. This installation in conjunction with our Battle Born lithium ion batteries (above) has enabled us to boondock for extended periods of time. We found Hightec to be reputable company that manufactures solar panels in Michigan City, Indiana (not far from Elkhart, Indiana). Their monocrystalline panels come in a variety of wattage sizes that will fit your installation requirements and expectations. What’s cool is you can order them directly from HiTech Solar via Ebay (Fred480v). For more information about why we chose these, you can read our HighTec Solar Panels – Product Review. We were eager to find a product that protected our leveling jack pads at the same time, caring about the asphalt or concrete surfaces under our jacks while parked. We found RV SnapPads at a the Heartland RV Owners North American Rally and discussed the benefits of their product. 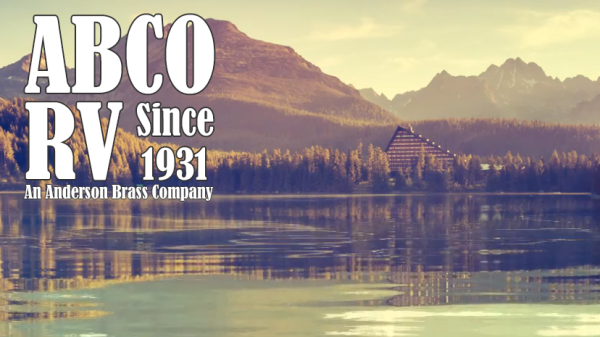 This amazingly personable, family-owned business creates an amazing green product from recycled rubber in Mishawaka, Indiana. We were so thrilled in this product that we just had to share our experience on RV SnapPads – Product Review. Are you new to RVing? Or, are you contemplating the RV lifestyle? Head on down the road with this awesome set of courses that will put a whole new sense of freedom in the driver’s seat with you. Learn about every facet of RVing. 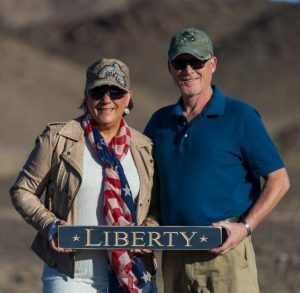 RV to Freedom offers a plethora of information about RVs and RVing lifestyle; a more guided approach to transition to full-time RVing with ease and success. Through the course, you’ll have the support and knowledge from Kerensa and Brandon along with the RVTF community to assist you. At the Heartland Owners Rally, we became educated on proper RV tank care and maintenance. We thought much of what we’ve learned should be read by every RV owner, so we wrote a detailed blog about Tank Cleaning and Maintenance that explains the process of a thorough professional cleaning of tanks as well as water tank and heater flush with anode inspection. “Jim” at Kleen Tank is an ‘All Pro Water Flow Authorized Agent’. If you see the Kleen Tank truck at your rally or RV park, we encourage you to get your RV tanks serviced and inspected. To see if Kleen Tank will be at your rally this or next year, check out Kleen Tank Rally Schedule. He takes appointments at each rally. In addition to their online business, they attend several RV rallies every year, so they can stay in touch with the RV community and to be available for their customers in person. Who better to buy technology products than from those who actually use them. Are you looking for new opportunities to explore and enjoy the RVing lifestyle? Their goal at Harvest Hosts is to provide worthwhile experiences for self-contained RVers and Hosts alike. Harvest Hosts is the culmination of years of travel by former owners, Kim and Don Greene and now carried on by Mary Ashley and Joel Holland. Their wonderful world-travel experiences allow(ed) them to meet members of the RVing community around the world and discovered networks such as France Passion that allow motorhomes to park overnight at wineries and farms for free. 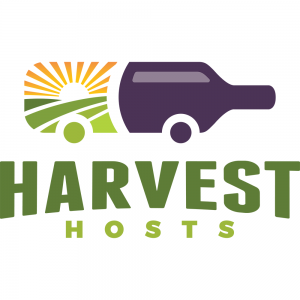 Their desire to bring this concept to North America has received widespread support from both the agri-tourism and RVing communities and they are very pleased to offer you the fun opportunities of Harvest Hosts. Since we are avid boondockers, we have also found Boondockers Welcome to be an exciting resource for parking and meeting great people who welcome us. No more parking in unsafe parking lots or rest areas! 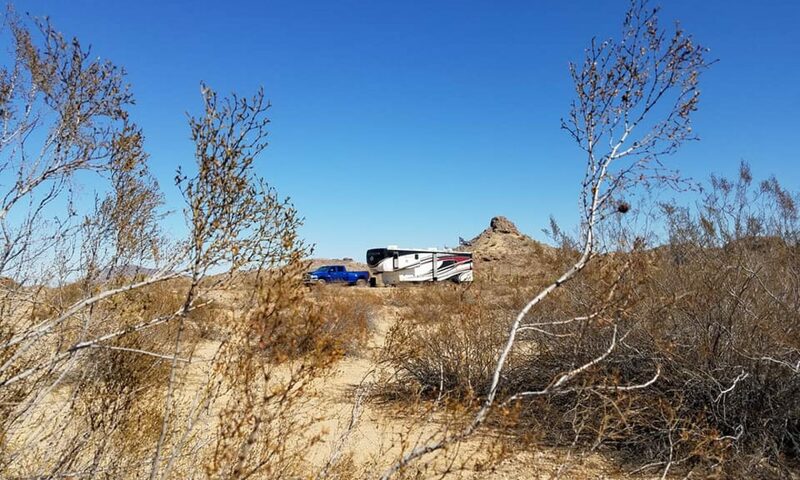 Free Overnight RV Parking on private property! Make new friends and sleep soundly. Locals invite travelers to spend the night, share their stories and save their money for the real adventure! Don’t miss out on the fun! Join now by clicking the logo or link in text! We use this awesome personalized service home-ported in San Antonio, Texas. Bexar Mailboxes and Shipping provides stellar and rapid service! They receive our shipments from USPS, FedEX, UPS and DHL and ship them to our current locations. Other services include notary public, fax sending and receiving, and more… all under one roof, providing a convenient, one-stop destination for all your business service needs. They are offering a 10% off mailbox rental for NEW clients but only if you tell them ALWAYS ON LIBERTY sent you! We are a participant in the Amazon Services LLC Associates Program, an affiliate advertising program designed to provide a means for us to earn fees by linking to Amazon.com and affiliated sites. By clicking on the link above or on our side bar Amazon image, we earn a small commission that goes towards our blog, domain, host fees and any software needed to present helpful information to our viewers and followers. Please consider supporting us this way. It costs nothing to any buyer. Ever since we’ve been branded, we love to hand out swag to our Sponsors, Ambassadorships, other brands and friends/family. Stickermule makes THE best stickers in our opinion. They don’t fade and they are absolutely awesome. No tearing. No fading. No cracking or shrinking. We get many compliments on their presentation, wearability and delivery. You design your own or upload your brand logo and within 24-48 hours, you get to see your proof before buying. They are fabulous to work with. We’ve ordered several different types and never have been disappointed. We’d love for you to see for yourselves! We’ll even help with $10 OFF your first order! Click on the banner above and it will take you to their site. When you check out, your order total will reflect our first-timer discount code. Oh, and they have FREE SHIPPING!! Affiliate Disclosure: If you purchase any products through these links, we may earn a small commission at no cost to you or we’ve already received compensation of products or services.